Welcome to hotelATM. Make your trip to Krabi a success with upto 75% off your Krabi hotel. Avoid the hassles of Krabi airport transfers by booking yours online before you leave home. Start your holiday the moment you arrive. There's a lot to see around Krabi, and if you don't want to miss out, the be sure to take part in a few tours or day trips. 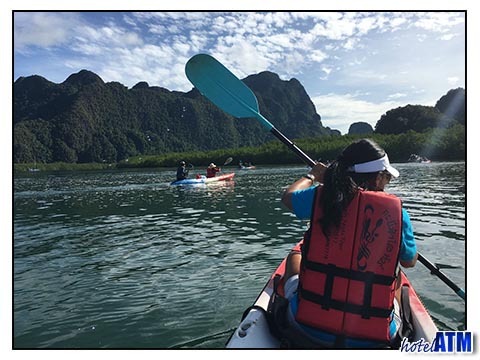 If you're short on time or just want to get the most out of your visit to Krabi, there are qa few things you need to put on your To Do-list. Ao Nang Beach has 30 hotels and resorts to choose from. With prices from as low as THB 927 per night up to THB 6,015 per night. Klong Muang Beach has 9 hotels and resorts to choose from. With prices from as low as THB 1,203 per night up to THB 15,648 per night. Noppharat Thara Beach has 6 hotels and resorts to choose from. With prices from as low as THB 986 per night up to THB 2,082 per night. Our guides to Krabi can help you plan your trip or reminisce on a perfect vacation. Either way there's a wealth of knowledge and information and it's constantly growing and being updated. Subscribe to the Krabi RSS feed to get the latest updates and insights.